September 2015 - Áine Mulvey, M. Mus. 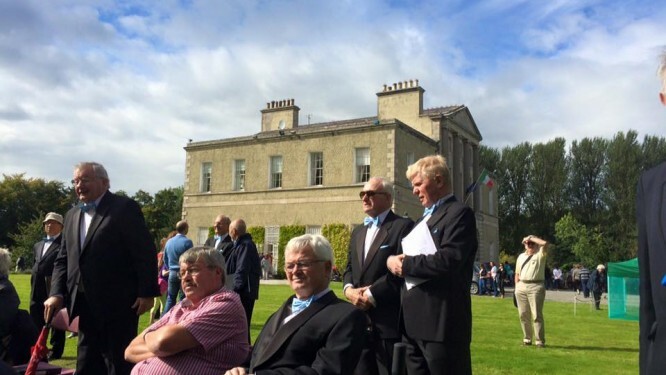 On the 12th September, the Dublin Male Voice Choir participated in the Lucan Festival, singing at Lucan House, the Italian Ambassador’s residence. The repertoire included “Va Pensiero”, “Santa Lucia”, “Finiculi Finicula”, and other favourites. The choir were accompanied by Annalisa Monticelli and conducted by Aine Mulvey.